High-performance polyester (PET) film deep-dyed colored, laminated with optically clear adhesives. Materials are UV treated (weathered) for long term sun exposure. This film is designed for long-lasting application to (but not limited to) glass. Apply to the interior side of glass: windows, doors, skylights, and curtain walls. Apply to acrylic glass and polycarbonate in areas with little to no sun exposure. Exterior application may require covering with an outside weatherable film. 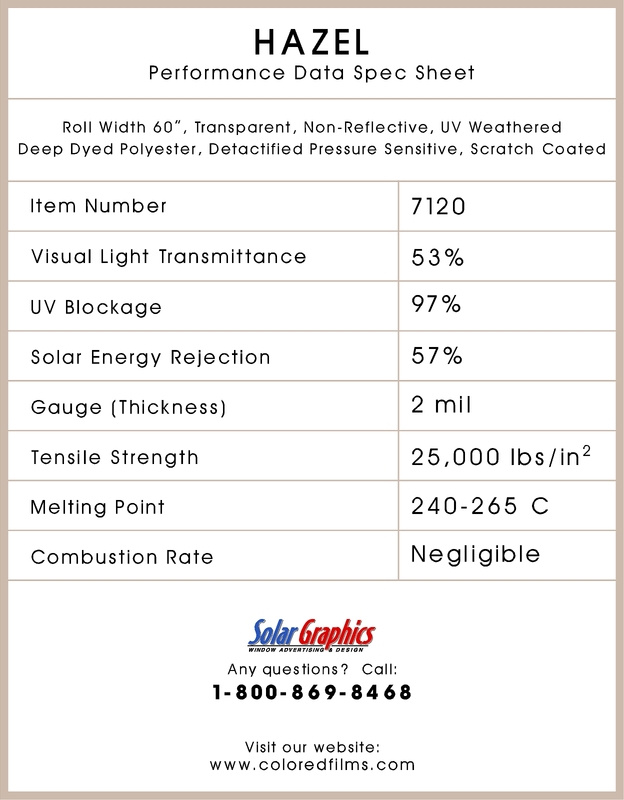 Contact Solar Graphics, Inc. to review your project requirements to determine product suitability. Material is applied wet, using a specific soap solution. 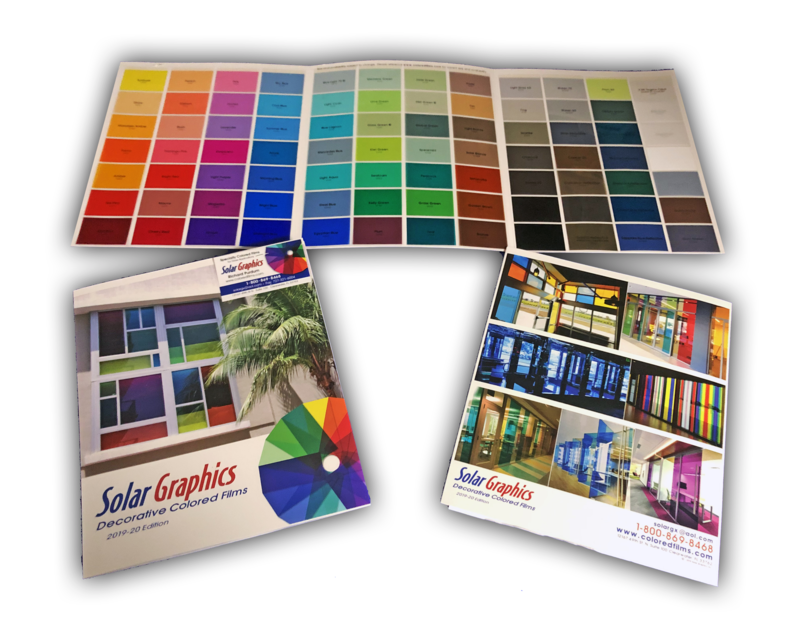 Solar Graphics films are designed to be applied in multi-layers (up to 6) to obtain a variety of color combinations for specific color matches, reflectance, transparencies, translucencies, or opacities. 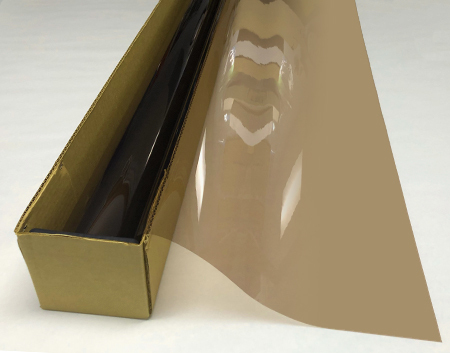 A solvent-based polyacrylic permanent adhesive is laminated to the film. The adhesive is optically clear for high visible observations, and is treated with UV inhibitors for long-lasting performance in direct sunlight. All films are lined with a silicone liner to protect the adhesive during storage and application. Solar Graphics films are covered with a scratch-resistant coating to ensure long-lasting protection from cleaning and wear and tear. These coatings may show an iridescence or "pearlescent" look on the inside surface due to reactions to some fluorescent or artificial lighting under high-contrast conditions. Changing to a whiter light source like full spectrum bulbs or LEDs helps neutralize these patterns. The use of non-tested film products or other manufacturers' film products used in conjunction with the Solar Graphics film products. Improper application or installation of the product. Abuse of the product or design. Improper care and treatment of the product. All statements, technical information and recommendations are based on field tests and usage of the product for the past 30 years. The accuracy or completeness, is not guaranteed, and the following statement is made in lieu of all warranties, expressed or implied. Seller shall not be liable for any injury, loss, or damage, direct or consequential arising out of the use, application, or inability to use the product. Before using, user shall determine the usability, application, environment, and suitability of the product for it's intended use. 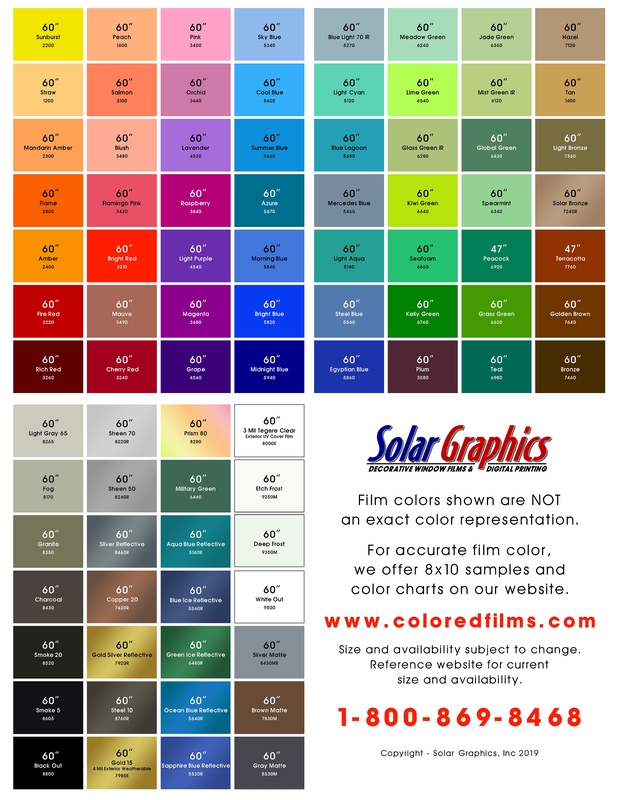 Get our NEW Color Chart!